Point Pleasant junior Cason Payne (7) releases a pass during the Class AA quarterfinals against Bluefield at Mitchell Stadium on Nov. 18 in Bluefield, W.Va.
Point Pleasant senior linebacker Tucker Mayes (42) rushes in on Meigs quarterback Zach Helton (10) during an Oct. 13 non-conference football game at OVB Field in Point Pleasant, W.Va.
WHEELING, W.Va. — Seven members of the Point Pleasant football team were named to the 2017 Class AA all-state team, as voted on by members of the West Virginia Sportswriters Association. The Big Blacks — who went 9-3 this past fall while advancing to the second round of the playoffs for a fifth consecutive year — had five players chosen to either the first or second teams, as well as a special honorable mention pick and a honorable mention choice for their collective efforts. Point’s lone repeat selection was junior Cason Payne, who was named to the first team as a utility player on defense. Seniors Justin Brumfield and Alex Gibbs were named to the second team offense as a running back and an offensive lineman, respectively. Senior Tucker Mayes was a second team defensive selection at linebacker, while junior Josh Wamsley was a second team defender as a utility player. Senior Alec Smith was chosen to the special honorable mention list, while junior Eddie Mayes was named to the honorable mention squad. The Big Blacks landed seven players on the all-state squad for a second year in a row and also for the third time in four seasons. Latrell ‘Mookie’ Collier of Bluefield was named the first team captain on offense and Dante Stills of Fairmont Senior was the first team captain of the defense. Connor Neal of Fairmont Senior was named the second team captain on offense and Hunter Thomas of Sissonville was the second team captain on defense. This story will appear in the weekend sports editions of the Point Pleasant Register and the Sunday Times-Sentinel. QB – Jeremy Dillon, Mingo Central. RB – Mookie Collier, Bluefield (captain); Jake Bowen, Bridgeport; Ghovan Davidson, Robert C. Byrd. OL – Dalton Fields, Mingo Central; Grant Dickson, Winfield; Zach Frazier, Fairmont Senior; Nathan Pettus, Bluefield; Mason Sipes, Berkeley Springs. WR – Drew Hatfield, Mingo Central; Tayton Stout, Braxton County. UTIL – Andrew Huff, Winfield; Dylan Smith, Chapmanville; Dalton Westfall, Liberty-Harrison. K – George Triplett, Elkins. DL – Dante Stills, Fairmont Senior (captain); Tyler Komorowski, Weir; Ryan Burdette, Clay County. LB – Hunter Mason, Philip Barbour; Mike Bartram, Wayne; Truck Edwards, Bluefield; Grant Mohler, James Monroe. DB – Monroe Mohler, James Monroe; John Merica, Bridgeport; Isaac Workman, Clay County; Brady Ours, Keyser. UTIL – Cason Payne, Point Pleasant; Bryson Gilbert, Fairmont Senior; Broderick Lantz, Liberty-Harrison. 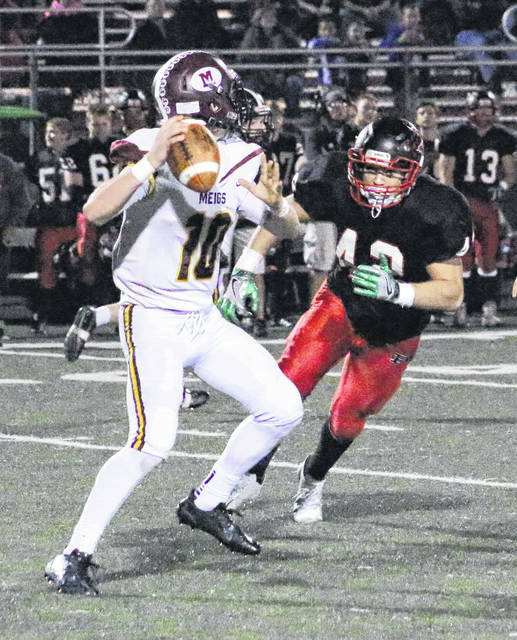 P – Reed Reitter, Weir, Jr.
QB – Connor Neal, Fairmont Senior (captain). RB – Dawson Elia, Mingo Central; Evan Rose, PikeView; Justin Brumfield, Point Pleasant. OL – Jimmy Allison, Bridgeport; Maven Meadows, Poca; Robert Arnold, Robert C. Byrd; Deiyantei Powell-Woods, Bluefield; Alex Gibbs, Point Pleasant. WR – C.J. Ryan, Berkeley Springs; Kenneth Stahl, North Marion. UTIL – Jacob Hartman, Petersburg; Will Hackney, Sissonville; Kobie Carpenter, Lincoln. K/P – Koby Kiefer, Bridgeport. DL – Zach Payne, Nicholas County; Chapin Murphy, Bridgeport; Hunter Edgell, North Marion; Adam Daniel, Independence. 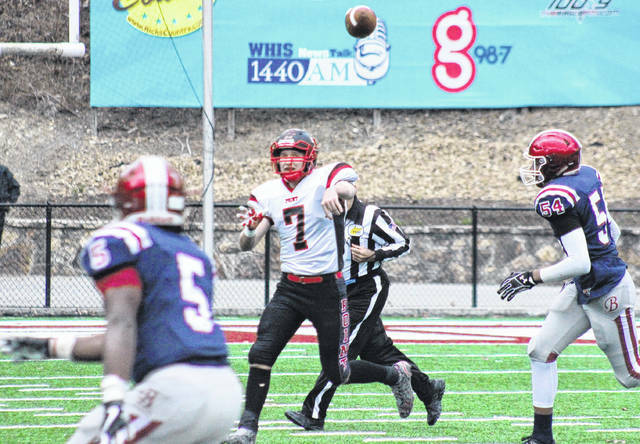 LB – Hunter Thomas, Sissonville (captain); Seth Arnold, Braxton County; Tucker Mayes, Point Pleasant; Doug Morral, Petersburg. DB – Grayson Pratt, Wayne; Nick Reip, Nitro; Connor Moore, James Monroe. UTIL – Chase Collier, Philip Barbour; Josh Wamsley, Point Pleasant; Justin Stover, Herbert Hoover. K/P – Cory Booth, James Monroe. Johnny Adkins, Wayne; Nick Albright, Man; Timmy Bigley, Chapmanville; Dawson Blankenship, Nicholas County; Jaron Bragg, Shady Spring; Tyler Bragg, Shady Spring; Channing Carr, James Monroe; Ben Clark, Winfield; Heath Cottrill, Braxton County; Trevor Clayton, Grafton; Jay Cook, Poca; Mathias Cook, Oak Glen; Travis Cook, Westside; Chandler Cooper, Bluefield; John Covert, Winfield; Troy Cowart, Logan; Zach Curry, Mingo Central; Cameron Dillon, Liberty Raleigh; Noah Dillon, James Monroe; Noah Drummond, Bridgeport; Grant Elliott, North Marion; Zach Ferrebee, Clay County; Desmond Fluharty, North Marion; Hunter Gainer, Philip Barbour; Conner Gibson, Independence; Jared Griffith, Lewis County; Alex Grose, Clay County; Jordan Gump, Lincoln; Jon Hamilton, Scott; Trad Harman, Petersburg; Jonathan Hatcher, River View; Frank Ty Hudacheck, Weir; Josh Huffman, Roane County; Dylan Kincell, East Fairmont; Cameron Kollo, Philip Barbour; Nate Kowalski, Fairmont Senior; McKeyin Kile, Petersburg; Trey Lester, Mingo Central; Carter Lyles, Scott; Xavier Lopez, Robert C. Byrd; Nick Marley, Frankfort; Brandon May, Roane County; Jonah Mathis, Wayne; Shauntez Matthews, Logan; Eddie Mayes, Point Pleasant; Ryan Metzgar, Lewis County; Owen McClanahan, Poca; Matt McCoy, Philip Barbour; Matt McKinney, Independence; Seth McKinney, Liberty; AJ Milam, Liberty Raleigh; Hunter Mitchelson, PikeView; Brock Muncy, Man; Bryce Nelson, Westside; Ricky Newbrough, North Marion; Nick Nutter, Nicholas County; Christian Olivio, Bridgeport; Seth Osborne, Man; Tanner Owens, Wayne; Trey Pancake, Bridgeport; Dylan Pettit, Grafton; Nick Perry, Wayne; Michael Pinkerton, Sissonville; Jay Poindexter, Nitro; Dalton Pollock, Frankfort; Jared Price, Scott; Mason Rice, Weir; Seth Ross, Wyoming East; Jared Sagraves, Nicholas County; Shane Saylor, Fairmont Senior; Ryan Shoemaker, Keyser; Aiden Slusser, East Fairmont; Garrett Smyton, Elkins; Zach Spencer, Herbert Hoover; Thomas Talkington, Elkins; Ethan Travis, Oak Glen; Nick Vance, Winfield; Jackson VanScoy, Winfield; Garrett Ware, Grafton; Rhett White, Herbert Hoover; Steven White, Keyser; Seth Whitt, Chapmanville; Collin Williams, Oak Glen; Casey Wood, Oak Hill, Don Woodworth, Keyser; Justin Barker, Mingo Central.